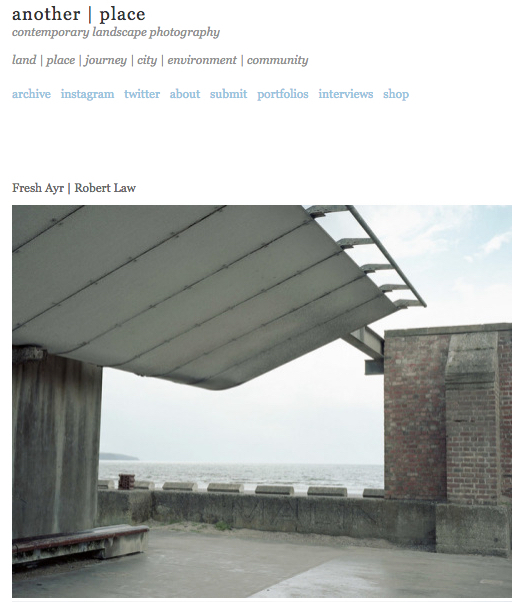 Firstly, I'm hugely honoured to have my work selected for a feature for Documenting Britain. The account is currently on Instagram and is curated by Chloe Juno, an experienced curator, artist and photographic consultant. She has a vast amount of experience, including clients such as Thomson Reuters and the Sunday Times as well as leading documentary photography workshops at The Royal Festival Hall and Plymouth City Museum. I'm humbled to be featured among some fantastic, fresh documentary talent! Secondly, I've had an image from my series, Urbanización, selected for exhibition by the Revolv Collective, who promote emerging photographers. The exhibition dates and location are to be confirmed, but a venue in central London is planned! More updates on my social media channels as this exciting project develops. I'm extremely happy to announce the featuring of my series, 'Snowdonia Revisited' following a personal invitation from the Inside the Outside collective - 'The landscape photography collective mediating the liminal space between the world before us and within'. The series features studies 'that reveal both the beauty of what is hidden underneath the surface and the new topography as a consequence of man’s industry' in the Snowdonia area of North Wales. Examples of slate and stone quarrying dominate, but also reference highland hydroelectric power schemes (pictured). It's not only an honour to be featured by ITO, whose founders are published and admired landscape photographers, but also humbling to share the same space with other invited contributors who are producing truly creative and inspiring work. See the complete article here. Getting featured on photographer and book publisher Iain Sergeant's Another Place magazine has been a top aim of mine that I didn't expect to achieve so soon. The online magazine is a showcase for contemporary landscape, urban and new topographic-inspired photography amongst other subjects. It features work from all over the world and I've taken inspiration from many of its contributors. 'Fresh Ayr' is an unashamedly spur-of-the-moment project, shot over the course of one day, where inspirational inertia is gathered from visiting a new area and getting into the rhythm of seeking and shooting. Serious photographic projects can take years of research and execution, so I'm delighted that this unconventional project has been accepted for what it is: a fresh and unprejudiced photographer's view of a seaside town where tourism, industry and people mix. I needn't have been so nervous about meeting the next generation of photographers! I was invited to give a talk and answer questions about photography to the lovely children of Amlwch Primary School on my home island of Anglesey, North Wales. They have been set the task of documenting their own area, rich in history as a copper mining town in the 19th century and their teacher allowed me a broad remit on the subject of taking photographs. We talked about how photographs are records, capture things that catch our attention, tell stories and ask questions. We covered ideas about the use of colour, shapes, textures and patterns as well as visual storytelling and searching for the unusual. I never fully anticipated how perceptive the questions would be about my images and how their young eyes gave an innocent, yet very sophisticated review of my work. The enthusiastic engagement was a pleasure to experience and these were first-class critics. As my example images went up on the projector, there would often be a collective gasp and a flurry of raised hands to offer opinions, interpretations and ask questions. It was humbling. I would certainly encourage anyone with the same opportunity to grasp it. I certainly gained greatly from the experience and can't wait to see the photographs that they're going to present in a week's time as part of their project. Best of luck to these new photographers! The fantastic and enthusiast pupils of Ysgol Gynradd Amlwch. Photo credit: Miss Carole Richardson, Deputy Head. Exhibited at Slideluck, London, Ontario. I'm thrilled to have had my series 'Fog ~ Fields ~ Frost' exhibited recently in Canada. Slideluck is a wonderfully social concept that combines art, interaction and food in cities around the world with great success. Successful series of images are curated and presented as a digitally projected slideshow, set to music of the artist's choice. I found a wonderfully atmospheric and brooding track to echo the cold, damp landscapes and freezing fog. My heartfelt thanks to the organisers, guests and sponsors for showing and sharing my work! Visiting a new area for the first time always provides me with a creative rush. When my home patch starts becoming too familiar, I start to overlook scenes that I should really notice. A recent visit to the coastal towns of Troon and Ayr on the Scottish west coast allowed me to wander with my camera for a day with a fresh perspective. I captured whatever caught my eye with a view to a short documentary series. The conditions were generally overcast and I enjoy the mood that creates. For my style of photography, it allows me to observe the essence of the subject. I also included people in a few shots, which is something I don't normally do. Everyone I spoke to was very friendly indeed and that's encouraged me to be more confident around photographing people in the future. Delighted to have made the front cover of the photographic magazine, Untitled Collective Issue #4! The magazine features work some extraordinary emerging talent and I'm humbled to be included with images from the series 'Fog ~ Fields ~ Frost'. Please take a look at the website and enjoy several issues containing some innovative art in a slick package! Following a new, three year contract, a selection of my work is now available through Millennium Images, London. Millennium are a premium agency that specialise in innovative, modern photography and emerging photographers. Their clients include magazines, advertising agencies and are especially well known for supplying images for book covers. Three prints from my series have recently been displayed at a special one-day exhibition in the West Midlands, UK. The Reclaim Photography Festival is an innovative movement dedicated to bringing photographic art to our public spaces. The standard of work displayed was both thought provoking and superlative. The curators chose three images for print display and many others for digital display from my submitted series entitled 'Is this really life? ', an alternative study of North Wales and it people. Much of my photography strives to show the overlooked and falls into minimalist and documentary genres. The prints from RPF'17 will be auctioned off and the proceeds will benefit St.Basils, a young people's charity. Many thanks indeed to the organisers, volunteers, contributors and visitors! The Untitled Collective is a high quality online magazine featuring modern, innovative fine art photography. In April's edition, I'm very pleased to have had an image included. 'Seaside Shinto Temple' is a minimal study of a shelter on the famous promenade in Llandudno, North Wales. Llandudno is an archetypal Victorian seaside resort, but the promenade includes several 20th century shelters that certainly echo Japanese shinto temples in their design. This similarity enjoys added curiosity in a seaside setting. Download the excellent magazine HERE. Always offering an alternative to the traditional narrative, this is a series of agricultural and urban landscape studies. Where terrain is gripped in frost, shrouded in fog or beset by a chilling dampness, I feel the need to record this rather melancholy aesthetic. These images were shot on a journey starting in south western Germany, through to northern France during a cold spell of weather and prevailing high pressure. The scenes include frozen crops, empty pastures, meadows and 'beautifully forlorn' industrial estates. As a regular visitor abroad to my partner's family, the current political upheaval and future uncertainty is hopefully conveyed in these images where, for the time being, the terrain is dormant and anything distant is not discernible. Indications are sparse. I hope that by making honest observations on film and capturing a generally muted colour palette, the viewer will be able to form a more visceral and meaningful connection to these cold landscapes and their extended social and political significance. This series will be submitted for publication online and in print this year as well as seeking the possibility of exhibition. I hope you enjoy them and please comment here or on my Facebook page if these images connect with you in any way. To view the collection, just click here.